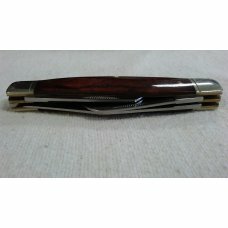 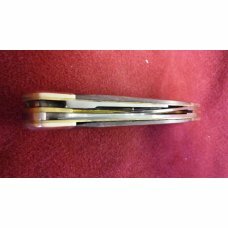 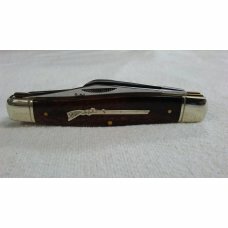 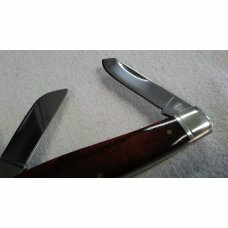 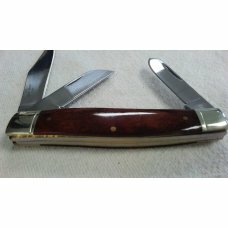 Very nice 3 blade folding pocket knife. 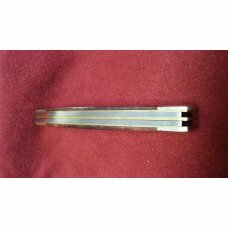 Closed it measures 4.5" long. 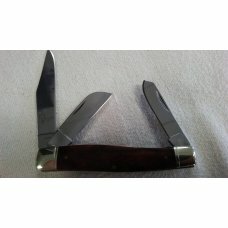 The main blade is 3", and the other two blades are 2" each. 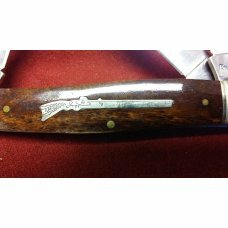 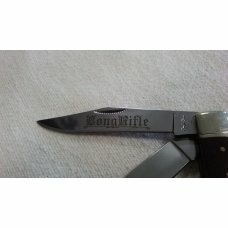 There is a metal "rifle" embedded into the polished wood grain handle, and the main blade has the "Long Rifle" logo etched onto it. 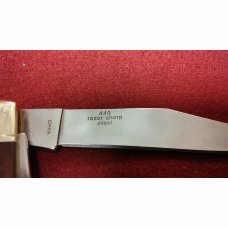 "440 razor sharp steel". 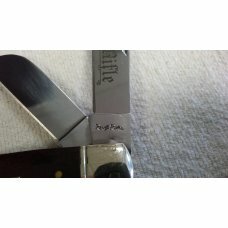 There are some minor signs of wear, but it is overall in very good condition.